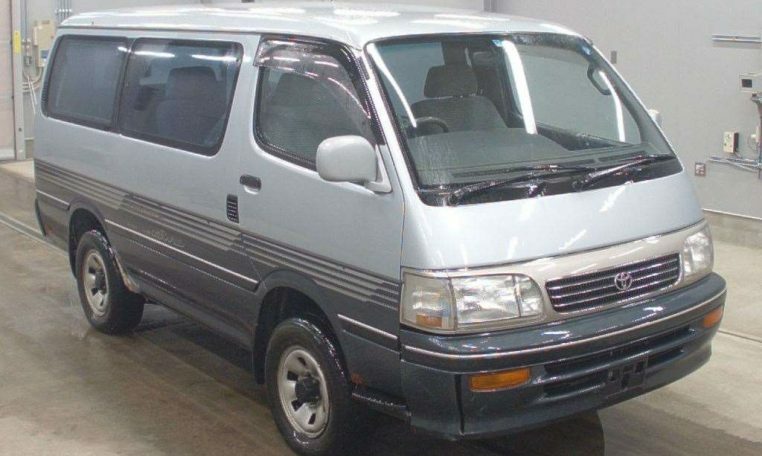 Toyota HiAce Van with the powerful 1KZTE turbo-diesel; full time 4WD; 5-speed. 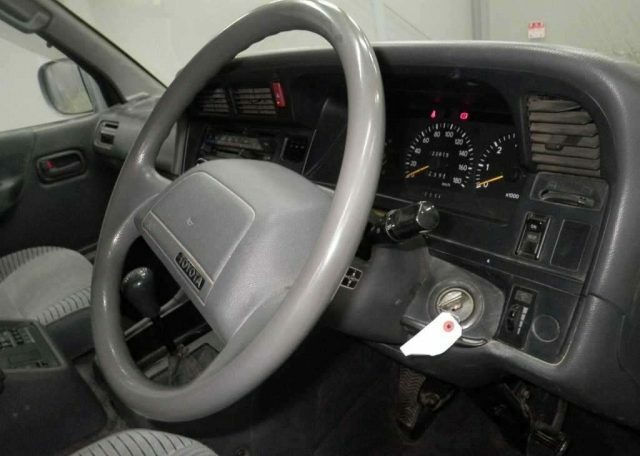 146k miles (238k kilometers). 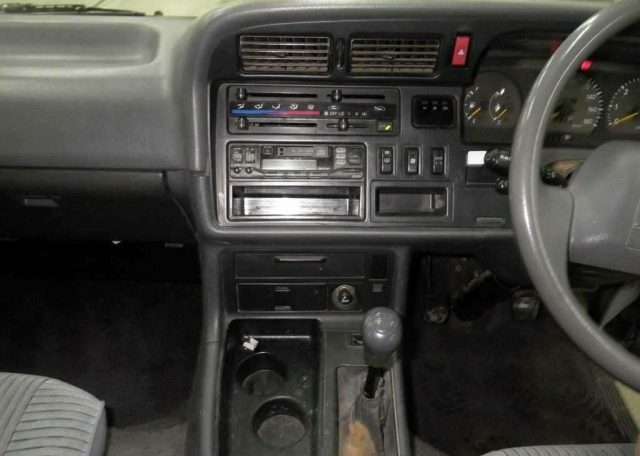 Average condition with some rust and modest wear but rare combination of 3 liter turbo diesel and 5-speed transmission. 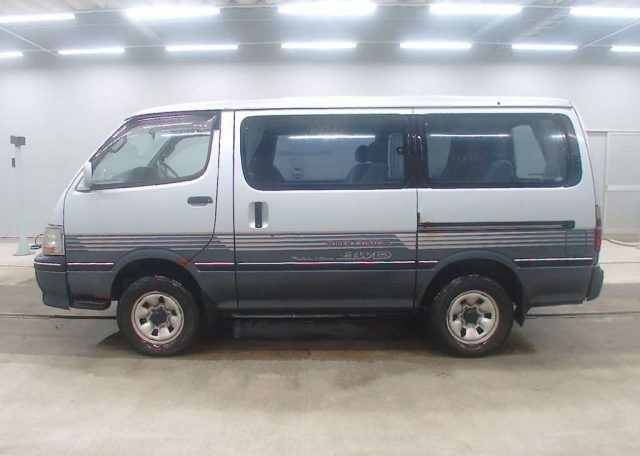 Will share more info after this arrives but as with most HiAce vans – 3-row seating – center seat assembly rotates 180 degrees for facing forward or backwards – and the rear-most seat slides for and aft for more cargo room. 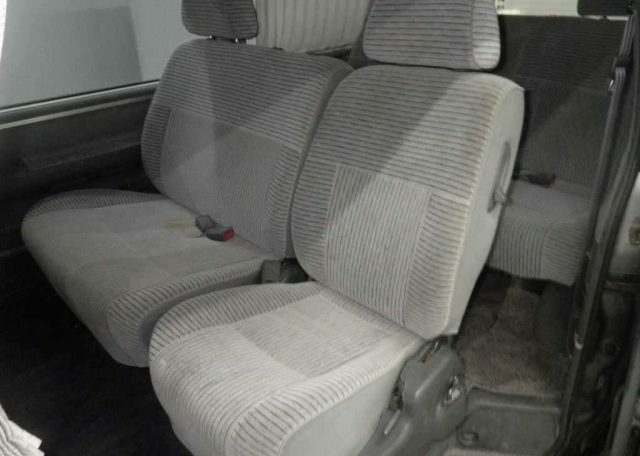 Seats fold flat to form a bed (sort of). 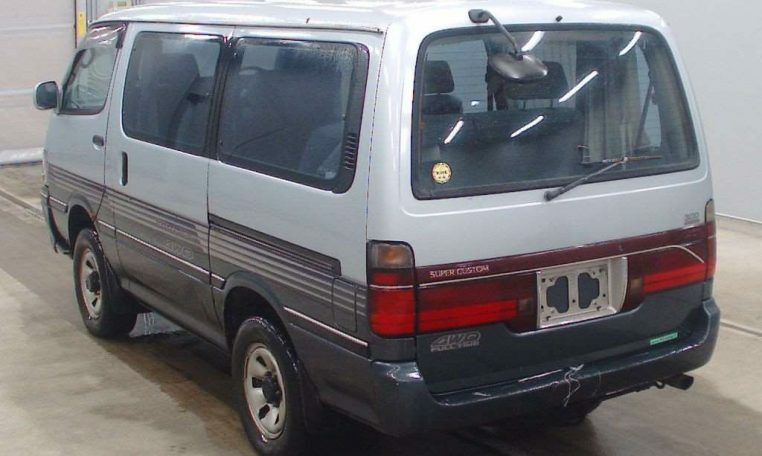 Rear heater and AC so back-seat passengers stay comfortable. 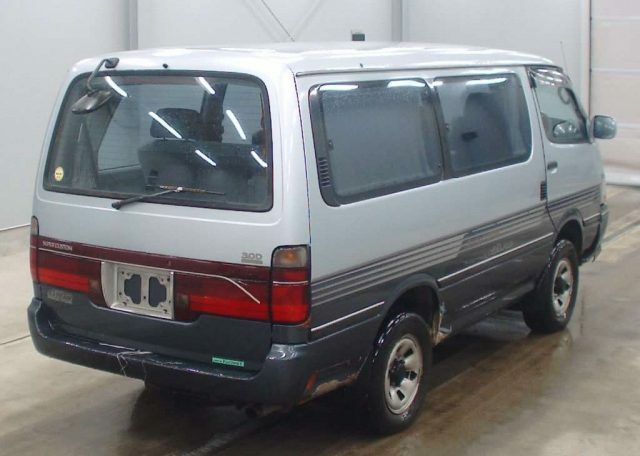 Toyota diesel vans offer a lot of utility for the money. 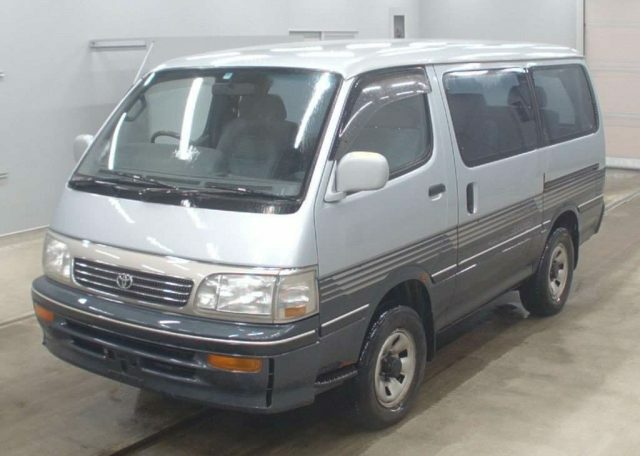 Nice flexible interior; durable drive-train and quality Toyota engineering makes for a sensible alternative to a Volkswagen Vanagon or Eurovan. 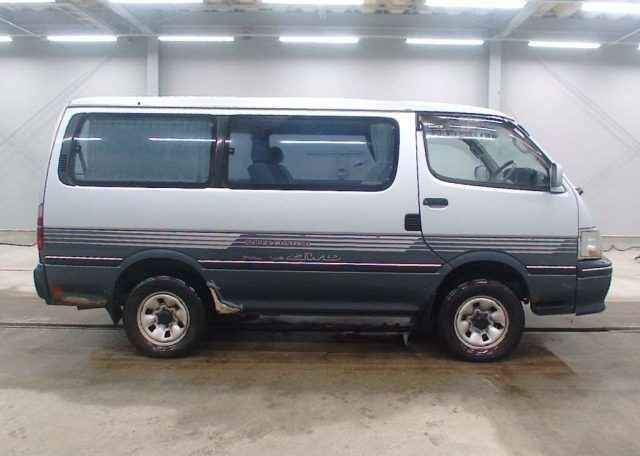 Nice alternative to a Mitsubishi Delica and worth considering if you like the Mercedes Sprinter and Metris for a small fraction of the cost.